Homework In Early Childhood? Is It Too Much? In some cases, this homework “overage” amounts to 3x the recommended limit. Too much homework increases stress, cuts into family life, and can even cause health and behavioral problems. It is not just the older kids that are suffering. The study showed that even first graders are well over the recommended limit spending 28 minutes a night while the standard is 10 minutes. That’s nearly 3 times the homework recommended by National Education Association. Even kindergartens are not immune receiving 25 minutes a night worth of homework. According to Great Schools, work brought home for Kindergartens should be, well…none. The fact is that a lot of kindergarten teachers assign homework. When New York Times Magazine writer Peggy Orenstein took an informal survey of her local schools, she found that every one boasted daily homework requirements for kindergartners. But studies have shown homework has few benefits for young kids and could even have negative effects. 0-10 minutes. Again, the jury’s still out on whether homework helps at this young of an age. If it does, it’s in the hard-to-measure areas of study skills and time management. 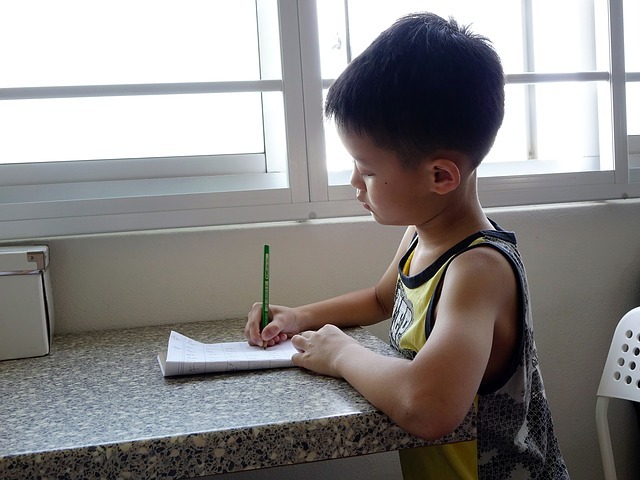 Reviewing the current homework debate, Slatesenior editor Emily Bazelon has made the case that no elementary school student should be required to do homework. So spend time playing, talking, and interacting as a family. With some brainstorming, everyday activities like eating or shopping can be turned into opportunities for learning. Myth number 1: Homework is important as early as possible so that children develop good study skills. Wrong: This is like saying that children should walk as soon as they are born so they will have good walking skills when they are older. There is no evidence to support this claim. Where Does your Kid Get the News? Did Your Childhood Responsibilities Affect You as a Mother?